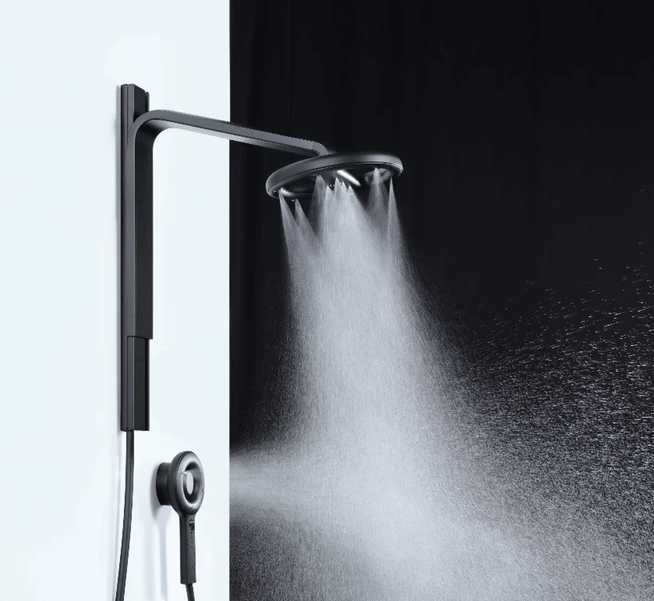 News Archives | MME group Inc.
We are proud to announce that one of our partners, Nebia, has relaunched their Kickstarter campaign with Nebia Spa Shower 2.0! The new shower head saves up to 65% on water. 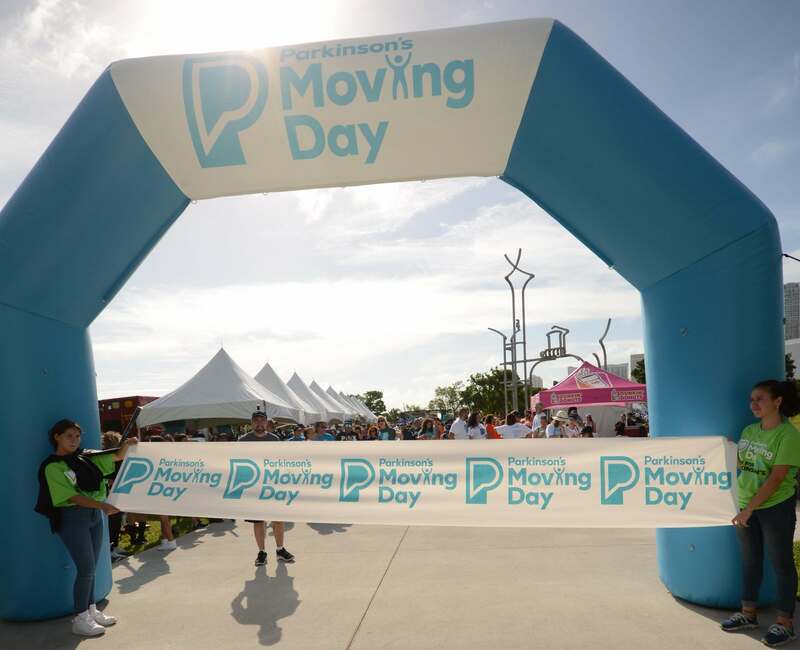 The company is on track to save one billion gallons of water in the next two years. Donate to their Kickstarter here. Silicone injection molding requires specialized capabilities, a highly skilled team, and sophisticated equipment. In many ways, when manufacturing silicone products, traditional molding methodologies simply do not apply. As a result, it’s important to know what to look for when seeking an experienced contract manufacturing partner. 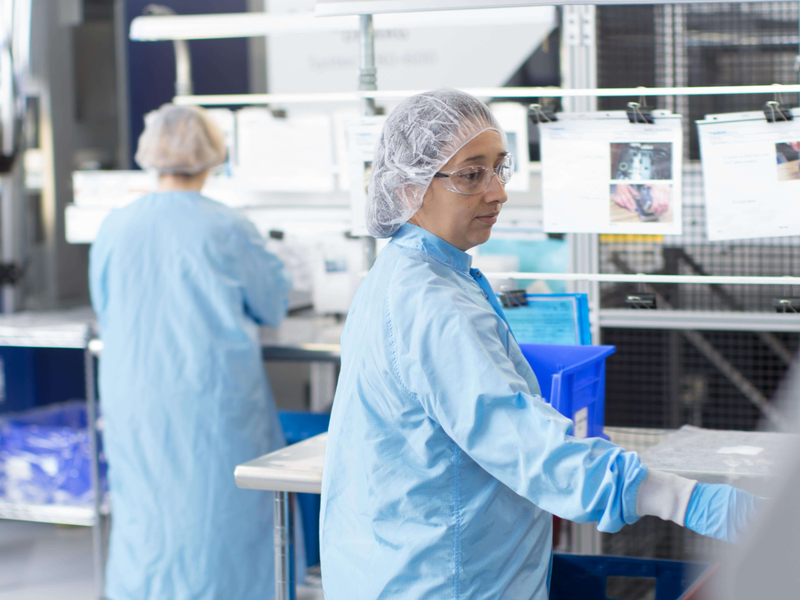 At MME group our clean room silicone molding and assembly experience means we are well suited to help engineers and business leaders understand the requirements and considerations involved when manufacturing medical and other highly regulated products. 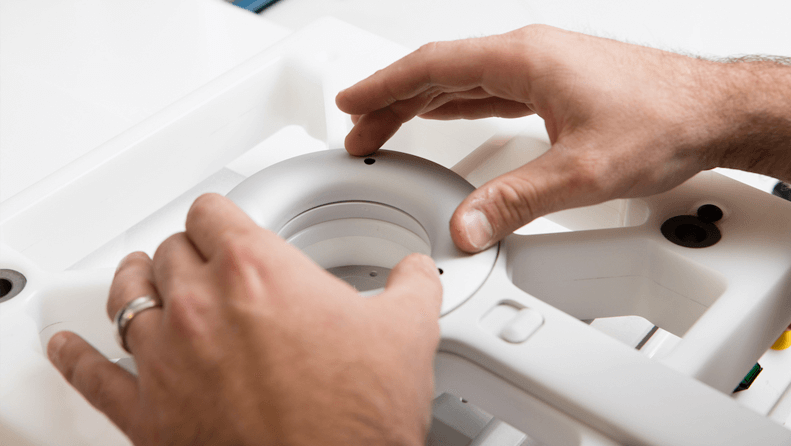 An in-house silicone molding and assembly team can help ensure quality and consistency is maintained through each stage of the product development process. Streamlined communications also lead to cost savings and reduced lead times. As a more cohesive unit, an in-house team working in an in-house facility can more effectively meet a businesses’ end-to-end product development needs, whether working with silicone or other materials. Silicone requires extreme precision in both tooling and molding. In order to maintain its form, tooling must be able to withstand extreme temperatures and the effects of thermal expansion. During the molding process, automated manufacturing means shot and size controls are implemented with great precision. This is crucial in the manufacture of medical and other highly regulated silicone products. In many industries sterilization is crucial. Dedicated clean rooms and related certifications indicate that a contract manufacturer is up to the task. At MME, for example, we have two dedicated silicone clean rooms for molding, and a dedicated clean room for assembly. We are also ISO 13485:2016 and ISO 9001:2015 certified, and ITAR and FDA registered for medical and government contract manufacturing and assembly. Technical expertise counts a great deal, and should always be closely considered. Additionally, however, when seeking a manufacturer to work with it’s important to speak to those who adhere to a partnership model. 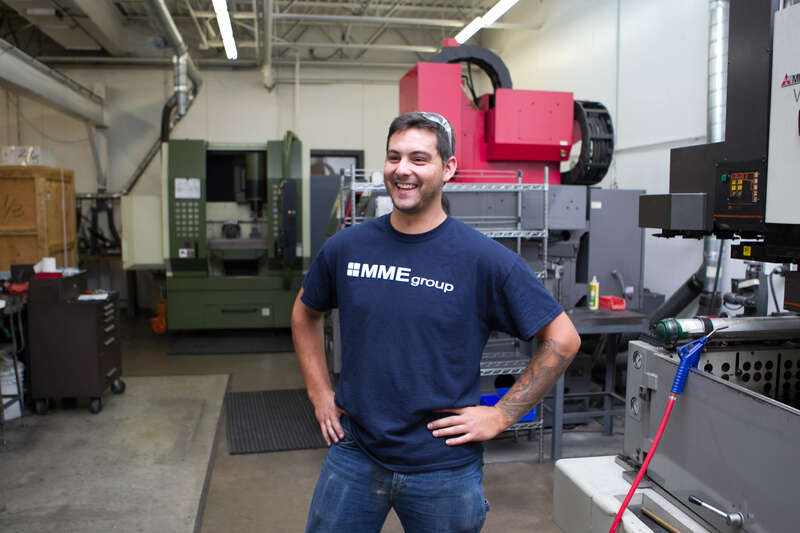 At MME group, everything we do is geared toward developing and maintaining the latest technological capabilities while providing robust manufacturing solutions. All of this, of course, is designed to help successfully bring exceptional products to market. Both consumers and business owners many times assume “waterproof” means, well, waterproof. Though it may seem counterintuitive, a waterproof rating - from a product development and manufacturing standpoint - does not always align with the everyday understanding of that term. In other words, a waterproof device may not be able to withstand being fully submerged for long periods or at any significant depth. So, just what does “waterproof” mean and how can a business ensure it’s protected from litigation involving waterproof claims? And, what system can a business use to measure a product’s water resistance levels so those details can be appropriately communicated to the end consumer? The answer involves IP (Ingress Protection) ratings, which govern dust and water protection levels. Understanding the IP rating system is crucial as miscommunications between engineers, marketers, and others, can and have led to lawsuits when water resistance capabilities do not match those advertised. And, from a marketing perspective, if a product’s ability to resist water is an important market differentiator, the engineering team will need to ensure those specifications can be met. In short, by making sense of the system that governs waterproof ratings, businesses can work with contract manufacturers and others to help ensure a product is sufficiently protected. In doing so, a product can be used as designed, and marketing and promotional materials can reflect usage and regulatory realities. Common IP ratings that are typically considered waterproof include P67, IP66, and IP65, among others. So, what exactly do these ratings mean? Let’s break it down. IP - This stands for ingress protection. The first of two numerical digits - Solid particle protection rating. The second of two numerical digits - Liquid protection rating. So, in this instance the very common IP67 designation has a solid particle protection rating of 6 and a liquid protection rating of 7. For tech startups, one fundamental misconception about overseas manufacturing stands out above all else: Cost. While startups many times manufacture overseas because they believe it to be cheaper, many fail to look beyond that initial assumption. However, when all is said and done, and the full breadth of design, manufacturing, and delivery activities are taken into account, manufacturing abroad typically does not result in financial benefits. Instead quality, communication, and logistical challenges quickly eat away at what initially looked like attractive cost savings. What Size Organization Will Best Suit Your Needs? Is Your Intellectual Property Sufficiently Protected? Will an Offshore Manufacturer Meet Time to Market Requirements? Can QA Requirements Be Met Now and In the Future? Will Your Manufacturer Help You Get More Value from Your Employees? What Impact Will Communication Challenges Have? Will Currency Fluctuations and Related Issues Arise? Multiple Vendors or a Single, End-to-End Partnership? The weight a manufacturer gives your business, and thus the upfront and ongoing resources they will provide, is an important initial consideration. Even startups with significant initial production runs may face serious challenges receiving the attention they need from overseas manufacturers. This is simply because the landscape is dominated by very large organizations. 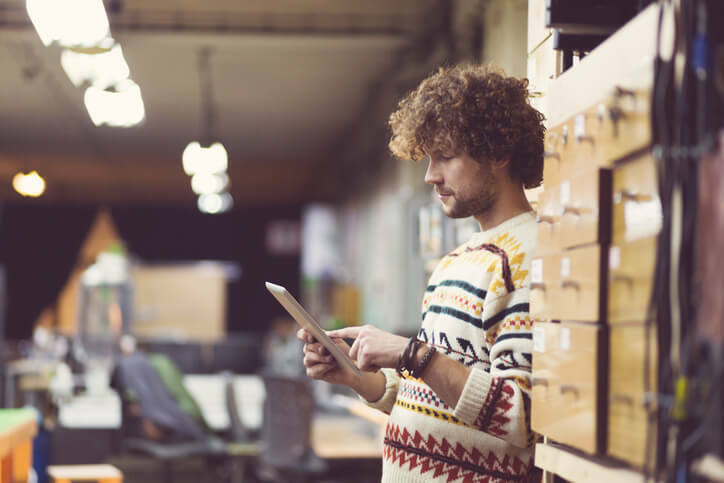 Furthermore, the lack of attention given to your product can result in downtime, quality issues, and other factors that have a real impact on your bottom line. The size of U.S.-based operations, however, vary considerably. This means that, depending on a startup’s size and other circumstances, a new business working with a U.S. manufacturer can more reasonably expect to find a provider that suits their needs. Is your intellectual property safe with a manufacturer on the other side of the globe? Given the history of IP protection issues in China and other manufacturing centers, this is a real concern for new startups – but a new business is too often willing to overlook this in order to achieve lower production costs. The issue has a long history and is still – it will come as no surprise – very much in the forefront today. The U.S. Chamber of Commerce’s 2018 International IP Index ranked China 25th out of 50 countries when it comes to protecting innovations through rights laid out by law. Working with a U.S. manufacturer means protecting your business’s most valuable asset: Your intellectual property. It’s important to note that domestic solutions many times allow a business to bring a new product to market significantly faster than overseas providers. This is not solely due to geographic difficulties, but also because an end-to-end manufacturer will have shorter lead times when inevitable changes arise. Nothing impacts a business’s bottom line more directly than a product idea that is not being brought to market. Doing so rapidly is a hallmark of U.S. manufacturing. Without your team present it’s difficult to ensure QA requirements are being met in real-time. Real partnerships based on trust are fostered through close collaboration and proximity. Without these partnerships, quality can fade over time. That is to say, even if your team ensures QA requirements have been met for an initial production run, future shortcuts or other unseen process changes can sometimes lead to quality issues. A business should also be aware of additional efforts needed to ensure QA requirements are met from afar. Travel, downtime, and other costs can quickly have a serious impact. Additionally, as consumers experience increased issues as quality fades, a brand’s reputation – and sales – can be affected. By virtue of their working closely with a domestic manufacturer, your team will learn more about the manufacturing process. This in turn can inform future product design and innovation. For example, knowledge sharing with a manufacturer can help a tech startup ensure that Design for Manufacture and Assembly (DFMA) practices mean future products are designed – from the earliest stages – with optimal manufacture and assembly in mind. Additionally, a U.S. manufacturer with an approach based on partnerships is many times able to provide all disciplines under one roof, allowing your employees to work with a single fully-informed team. All this means that, again, your team will gain valuable insights while freeing up time to focus on core skill sets that help ensure future financial viability. Will Communication Challenges Have an Impact? Many businesses who work with overseas manufacturers face a number of communication issues brought on by language, distance, travel time, and longer-than-expected holiday delays. It’s important for operations teams to stay in sync with the manufacturers they work with. That means the 12 to 15 hours that Shenzhen is behind U.S. time zones can have a real impact. The true costs associated with overseas manufacturing sometimes only becomes apparent after an agreement is finalized and work starts in earnest. Launching a new product while staying on budget is difficult enough without these barriers, of course. This highlights another reason U.S. manufacturing is a competitive option for many tech startups. If your finance team would prefer a model that does not need to account for currency fluctuations, tariffs, and potential trade conflicts, you may be well served by a U.S. manufacturer. Manufacturing products at home means benefiting from a degree of stability that cannot be matched abroad, helping prudent businesses minimize risk. The prospect of a single vendor providing a turnkey solution is another aspect of U.S. manufacturing that leads many startups to reconsider overseas organizations. By working with a startup during each phase – from the initial concept to product launch – a single manufacturer who questions contract manufacturing norms can provide invaluable solutions. 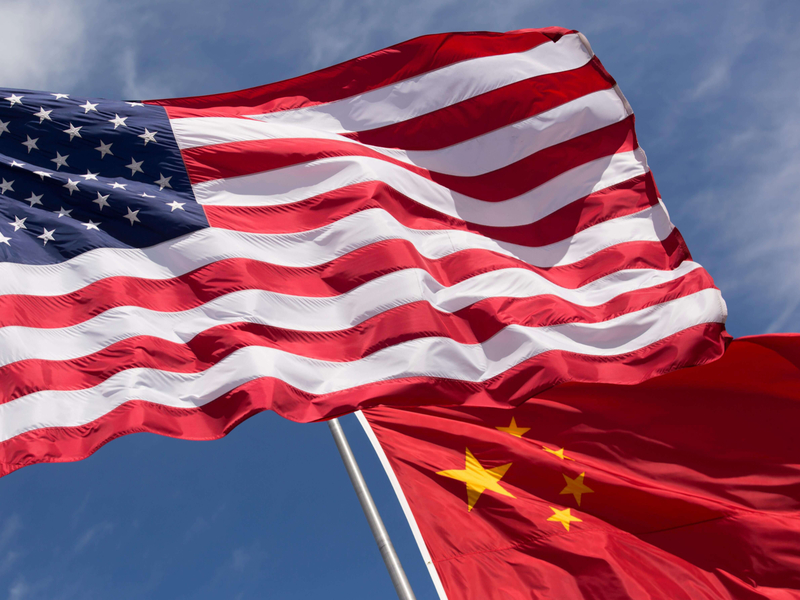 In short, with a U.S. partner, increased efficiencies available through vertical integration provide startups with benefits that cannot be readily matched by Chinese-based or other overseas manufacturers. 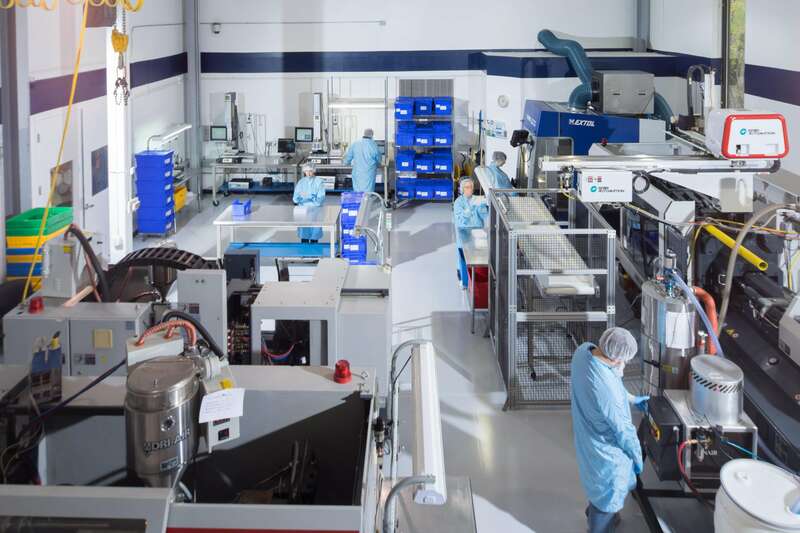 As a full service contract manufacturer helping businesses bring new products to market, we understand that the collaborative process is more nuanced and involved than many startups initially realize. A manufacturer with a partnership approach taking into account all aspects from concept to completion can help keep costs low. For startups based in the U.S., that type of partnership model is typically found in the U.S. This is because domestic manufacturers are more often the right size, employ full supply chain management and control, and work directly to quickly and efficiently implement changes. This is why we firmly believe startups should explore all their options, question perceived norms, and work to fully understand the benefits and risks associated with this important early decision. Learn more about MME group, Inc., and how we help startups excel. Join MME group June 13th from 4 to 7pm for a fun and informative career fair! Learn about exciting opportunities in the manufacturing industry, talk to experienced professionals, and enjoy complimentary food and beverages. Our open positions include both entry-level and senior roles with plenty of opportunity for advancement. At MME group, our employees are more than a number. If you are seeking a career where you can focus on your unique goals, where you have long-term opportunities for career growth, and where you enjoy comprehensive and competitive benefits, be sure to visit us to learn more. We are a results-oriented workplace. With a focus on our core values of personal accountability, teamwork, and open communication, we have spent decades building an enjoyable and productive work environment to help you thrive. For more information and to RSVP contact Tracie at (651) 483-0965. With large (750 ton) plastic injection molding presses, MME group is positioned to help companies in ways that other contract manufacturers are not. Working with a manufacturer with these capabilities means being able to produce large parts in significant volumes – and doing so more quickly and economically than many other full service contract manufacturers. We are dedicated to providing a full range of plastic injection molding services for our clients. As a result we are well equipped with presses that range in size from 10 to 750 tons. For clients who need our services quickly, are experiencing difficulties with their current manufacturer, or have overflow work that needs to be moved to another manufacturing partner, our robust transfer process is customized to each business’s unique needs. We pride ourselves in being responsive to timeline and logistics when it comes to transferring manufacturing work, and our process is entirely transparent. Additionally, unlike many other manufacturers with large presses, at MME group, we have invested in the tooling capabilities necessary to build, repair, and maintain large molds. The result is decreased lead times and a far more beneficial and cost-effective process when something need to be adjusted or repaired. Sophisticated robotics further help MME group minimize costs by reducing labor needs at the press. Additionally, as part of our lean manufacturing process, building assemblies directly at the press helps reduce product handling steps. To fully leverage a contract manufacturing relationship means seeking to – whenever possible – choose a partner who has wide-ranging capabilities under one roof. At MME group, our investment in large plastic injection presses up to 750 tons is just one of many examples that showcase our technical expertise and dedication to end-to-end manufacturing solutions. This helps us ensure we meet the rigorous standards we have set for ourselves, the products we help create, and the service we provide to our clients. Our clients also save time and money by minimizing the need to go to outside sources for large molded parts, which otherwise can add lead time, markup, and shipping fees. If you are seeking a new manufacturing partner, or would like to simply learn more about our capabilities, contact MME group today. MME group Inc. is proud to announce that we have received approval for two new International Organization for Standardization (ISO) Certifications: ISO 13485-2016 and ISO 9001-2015. These certifications show that MME group is well suited to manufacture medical devices meeting customer and regulatory requirements, and that the company has met ISO’s quality management principles. In the world of contract manufacturing ISO certifications are all-important third party verifications that a company provides a high level of service with a demonstrated ability to meet key requirements important to any business seeking a manufacturing partner. ISO is an international, independent, non-governmental organization which develops specifications to ensure quality, safety, and efficiency while promoting innovation and providing solutions to global challenges. Of course, these types of certifications are nothing new to MME. In fact, we have long held ISO’s previous versions of these very same certifications – and are honored to once again display to ISO auditors our technical capabilities and customer-focused principles.